Egypt. The cradle of civilization. The mother of the world. Arguably the most influential country in the Arab world; it is said that where Egypt goes – most Arab nations follow. The Square is the story of the Egyptian people who have been fighting for their rights for over two years . Press photo. 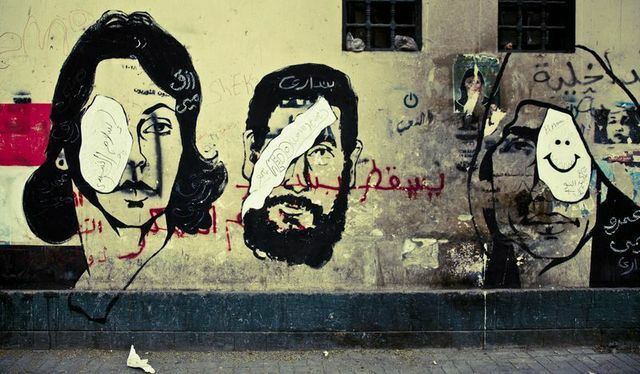 In the winter of 2011, Egyptians were in Cairo’s Tahrir Square, removing a despot that had ruled over them for 30 years. The Square, a documentary by Egyptian-American Jehane Noujaim, follows the dramatic events that turned Tahrir Square into an international symbol of revolution and hope, but also of turmoil and despair. The film is the first of its kind, following not only the fall of the Mubarak regime, but the tumultuous and bloody aftermath. In fact, The Square brings us the story of not one, but three revolutions: the first to depose Mubarak, the second to depose military rule, and the third to depose Mohamed Morsi. While the sheer vastness of the throngs of protesters makes for compelling footage, the truly insightful moments are the smaller and more personal scenes between the main characters. The film focuses on a cast of revolutionaries, each from different backgrounds and differing ideologies. Ahmed Hassan is a young idealist who hopes for a more liberal and progressive Egypt to emerge from the dust. During the anti-Mubarak protests he meets and befriends Magdy Ashour of the Muslim Brotherhood. This friendship represents a moment in time when all of Egypt was united in one cause, and this unity proved strong enough to end a powerful all-encompassing regime of 30 years. But even in those optimistic days the camera catches hints of the catastrophe that will follow. Arguments between Islamists and liberals, accusations of ulterior motives — all swept under the rug as a greater villain (Mubarak) was present. It is in apartments lit by candlelight — because of the frequent power outages — that we see how the emotionally charged, slogan-shouting days in the square are tempered with weary debates and worried whispers at night. This proves to be somewhat prophetic when we see the revolutionaries back in the square after Mubarak is ousted, this time to remove military rule and demand a democratic election. The military,who helped dispose Mubarak and who were once heralded as the heroes of the people, are now firing live ammunition into crowds of protesters and running them over with military vehicles. Movie stars are also part of the stellar cast. Khalid Abdalla (The Kite Runner, Green Zone) is the son of a political activist that was exiled to England in the ‘70s. Abdalla moved back to Egypt when the revolution started, in order to take part in the historic endeavor. A great scene in the film is an argument he has with his mother after the fall of Mubarak, about whether or not the Egyptian people are ready for democracy. His mother thinks that elections should happen immediately, as this is what the Egyptian people are fighting for. Once again, words become prophecy when the Muslim Brotherhood wins the Parliamentary elections and then the Presidential elections. A year after the first democratic election in Egypt, we see our heroes back in Tahrir Square, this time to depose the newly elected Morsi, who is accused of awarding himself excessive powers and drafting a constitution that alienated non-Islamists. The Square is a monumental achievement. It follows three years of some of the most groundbreaking events the Middle East has ever seen. The footage is sometimes difficult to watch (in one truly harrowing scene we see army vehicles run over protesters, followed by images of the flattened bodies) but the underlying message is that no matter how vicious the oppression, no matter how violent the resistance or how high the death toll, the spark of revolution, once ignited, cannot be quelled. The Square, opens the Montreal International Documentary Festival. It will be shown in the original Arabic with French subtitles on Nov. 13 at 7 p.m. at the Monument-National’s Ludger-Duvernay Theatre with director Jehane Noujaim in attendance. There will also be regular screenings of the film during the festival.